The winemaker Coronica Moreno is among the first to successfully establish a culture of Malvasia aged in new oak and showed that the Istrian Malvasia can provide a very powerful and rich wine. Wine is typically a mineral with a slight nuance of vanilla and elderflower. The taste is rich, almost buttery with lovely almond aftertaste. 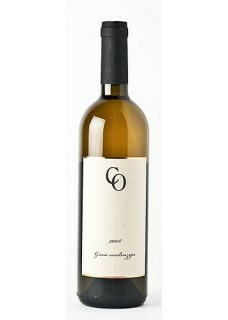 This is a smooth wine, with perfectly rounded texture, full of elegance and balance. Food pairing: Fish, baked in oven. Veal.